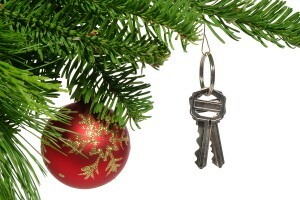 Did you get a new home in Spring Texas this year for Christmas? If the answer is yes, then Congratulations!!! Hopefully, you are starting to win the battle against what seems to be the never ending pile of boxes and soon will be settling into your home. But before you get too settled, you need to add one more thing to that “to do” list. You need to have the lock’s rekeyed on your Spring Texas home. Yes, the sellers may have seemed really nice and they might be the sweetest people on the face of the earth but it’s not the sweet sellers I am worried about. What you do know about the other people whose hands those house keys have been in? What do you know about the sellers housekeeper? or the sellers house sitter? or the sellers handyman? or the sellers dog sitter? These people may not be happy that the sellers sold their house and moved. I don’t mean to freak you out but we do live in a world that is not entirely made up of nice people. Go ahead and get the locks rekeyed on your new Spring Texas home. It won’t cost much only $75 to $150.